This collection of 17th - 19th century portraits in the chateau in Strážky consists mostly of works from the galleries of the chateau's previous owners (the Horváth-Stansith, Szirmay, Mednyánszky and Czóbel families, as well as the Spiš families of Csáky, Esterházy, etc). The families who owned the chateau supported portrait art by commissioning local and foreign artists such as Ján Gottlieb Kramer, Daniel Woge, Jozef Friedrich Wagner and others. The epitaph of the Horváth-Stansith family is also unique. Several of the portrayed subjects were significant figures of cultural and historical, political and economic life in the Spiš region. 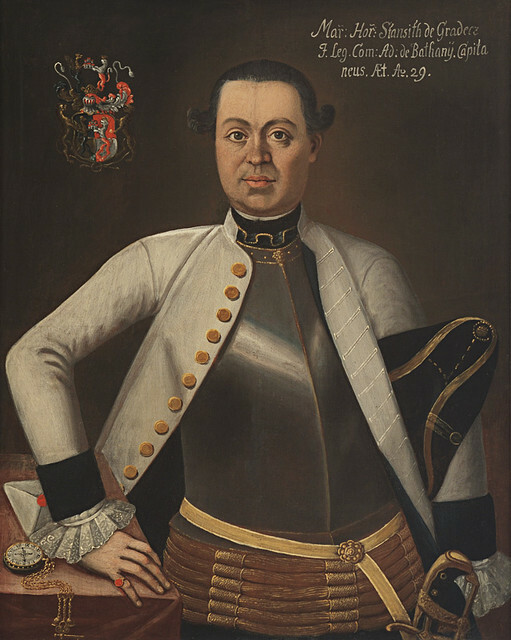 The family collections are complemented by a collection of 19th century portraits related to this artistic milieu, particularly the portraits of Ján Jakub Stunder, an artist of Danish origin who influenced the entire Spiš Region, and his followers Ján Rombauer, Jozef Czauczik, Karol Tibelly, Maximilián Ratskay, Imrich Roth. The exposition is also complemented by works of portrait artists such as Peter Michal Bohúň and Karol Brocký.